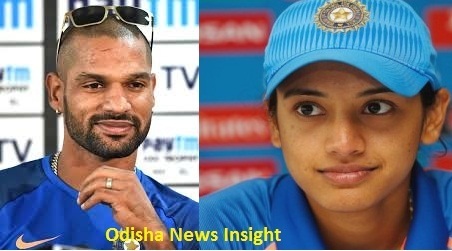 India men’s and women’s team openers Shikhar Dhawan and Smriti Mandhana have been nominated by the Board of Control for Cricket in India (BCCI) for the prestigious Arjuna Award, BCCI acting secretary Amitabh Chaudhury said on Wednesday. “We have sent the communication to the Government of India,” Chaudhury told reporters. Dhawan is currently playing in the Indian Premier League (IPL) for Sunrisers Hyderabad and has been a consistent performer across all three formats for India.